Audio tour for the Frank Gehry-designed Walt Disney Concert Hall. The tour is narrated by Tony-Award winning actor John Lithgow and was launched at the time of the opening of the Hall in 2003. To date, the tour has been enjoyed by over 100,000 visitors. Our client says: "At the time we were looking for a producer for the creation of an audio tour for Walt Disney Concert Hall, we had several great options to choose from. Thank goodness we went with Pamela and her team. She took a more inventive approach to interviewing, which involved multiple interviewees with diverse backgrounds. The script she devised was written to garner interesting content that made the end product fun, more diverse and entertaining to a broader range of visitors. Getting on the calendars of Frank Gehry, Diane Disney Miller and many other highly creative and extremely busy people was incredibly difficult. Pamela was flexible to accommodate their schedules. She had the brilliant idea, in spite of the limited budget we were working with, to videotape all of the interviews, which allowed us to put together a successful presentation to share in the lobby of the Concert Hall." Listen to interviewees Frank Gehry and conductor Esa-Pekka Salonen discuss the design of the hall, in the audio clip below. Audio tour of the historic home of the Lee family of Virginia. The tour includes, readings from historic documents, dramatized voices of enslaved individuals, music and sound effects that transport the visitor to times past at Stratford Hall. Our client says: "Working with Sandpail Productions on our new audio tour was such a delightful experience! The professionalism, the speed at which they worked, and the final product exceeded even the best expectation that we had! The visitors are enthusiastically impressed with the tour, and I could not be any happier! Sandpail is the best in the business, hands down!" Dr. Kelley Fanto Deetz, Ph.D., Director of Programming, Education, and Visitor Engagement, Stratford Hall. Nan the weaver and Congo the bricklayer. Photographs courtesy of Stratford Hall. 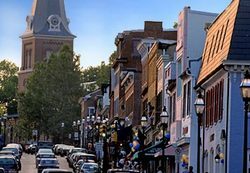 Four walking tours exploring the sights of historic Annapolis, Maryland: Annapolis Highlights, African-American Annapolis, Annapolis during the Civil War and Revolution in Annapolis. Each tour includes narration, readings from historic documents, music and sound effects that bring the historic structures of the area to life. Our client says: "The Sandpail team brought their experience and creativity to the project. Project producer Pamela Glintenkamp walked through Annapolis and mapped all of the tour stops with myself and our principal historian. She made critical and thoughtful observations and recommendations along the way. I thoroughly enjoyed working with Sandpail on this project. The team was professional, reliable, and as excited about the success of our project as we were. Quite frankly, the production of the audio tour was one of the easiest components of getting the facility up and running." Patricia M. Blick, former General Manager for the Historic Annapolis Foundation visitor facility. Listen to the audio tour samples below, to visit the 18th century Middleton Tavern and the Annapolis Opera House. 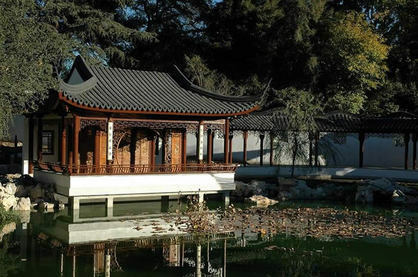 This 40-minute walking tour of the Huntington’s Chinese Garden explores the stunning botanical design and the literary sources that give deeper meaning to this landscape and its structures. The audio tour tracks correspond with locations in the Garden and are identified on a map, which is downloadable along with the tour, from the Huntington’s website. The podcast was produced in three languages: English, Cantonese and Mandarin. The tour is narrated by the Garden’s curator, June Li. Listen to the clip below to hear comments from architect Jim Fry and Huntington Project Manager Laurie Sowd. Audio tour for the History Galleries of the Nevada State Museum. 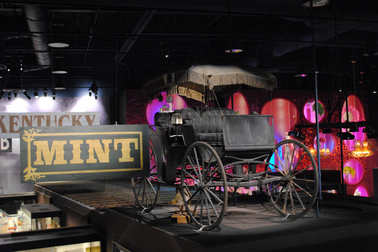 The tour is narrated by the Museum's Curator of History, Robert Nylen. 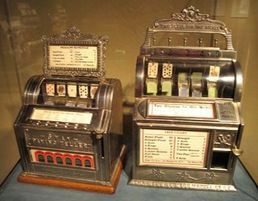 The sound design for the tour includes period character voices such Mark Twain, period music, and a sensitive use of sound effects, to bring the history gallery displays to life. the early 20th century Maxwell automobile, and memories of the first woman to drive across the United States. to witness a manorial court session in 1611. Audio Guide exploring more than 1,000 years of history at this noted heritage site. The sound design for the tour includes period character voices, music, and a sensitive use of sound effects to bring the history of Manor Farm to life. The﻿ audio files are offered as a free download from the Manor Farm website.﻿ MP3 players are also available on a free-loan basis, on-site. Our client says: "We were impressed with Pamela’s creativity and her ability to overcome obstacles. Obtaining access to make the recordings and sourcing some of the archival materials were incredibly challenging. But Pamela always seemed to find a way to get the piece we were after. Following the attraction’s re-opening, we conducted a comprehensive review of visitor feedback. The soundscape Pamela created for us was the most consistently mentioned and praised element of the interpretation by far." Audio tour for the Berkshire Botanical garden, featuring narration by noted audio book reader Grace Angela Henry. and working with this professional team made the whole process seem easy and intuitive. From writing our script, to setting up the recording, directing our voice talent, and adding beautiful background music and sound effects, Sandpail ensured that our final product was the best it could be. Our thousands of visitor agreed, and we've received wonderful feedback from the time of launch until today. I would highly recommend working with Sandpail Productions on your next project." Four podcast walking tours promoting the exploration of unique aspects of Downtown Los Angeles: Historic, Arts and Culture, International and Shopping. AWARD: International Downtown Associations Marketing and Communications Award, for the best Arts and Culture Program. The multimedia clip below was developed based on the original audio podcast content from the Historic Tour in the series. Video graphic design of this sequence is by Sam Woolf.